Fruit is a food group that has been in existence for thousands of years. Throughout the nineteenth century, advances in technology and transport made it possible for most people to access a wide variety of many kinds of fruit from all over the world. From aromatic, tropical mangoes, pineapple and papaya to the spiky Asian durian and the distinctive dragon fruit, we all have our favorites. Fruit has long been heralded as healthy food and a must-have when it comes to a nutritious balanced diet. Fruit is part of the regular “five a day” which we are encouraged to eat as often as possible. They are also seen as a very healthy convenience food, due to the small amount of preparation needed for many fruits. However, some experts have started to express reservations about just how healthy it is to eat a lot of fruit. If you’re wondering is fruit bad for you, stick around as I’m going to answer that question and more. This article takes a detailed look at the scientific research concerning fruit, its composition and the effects on health. 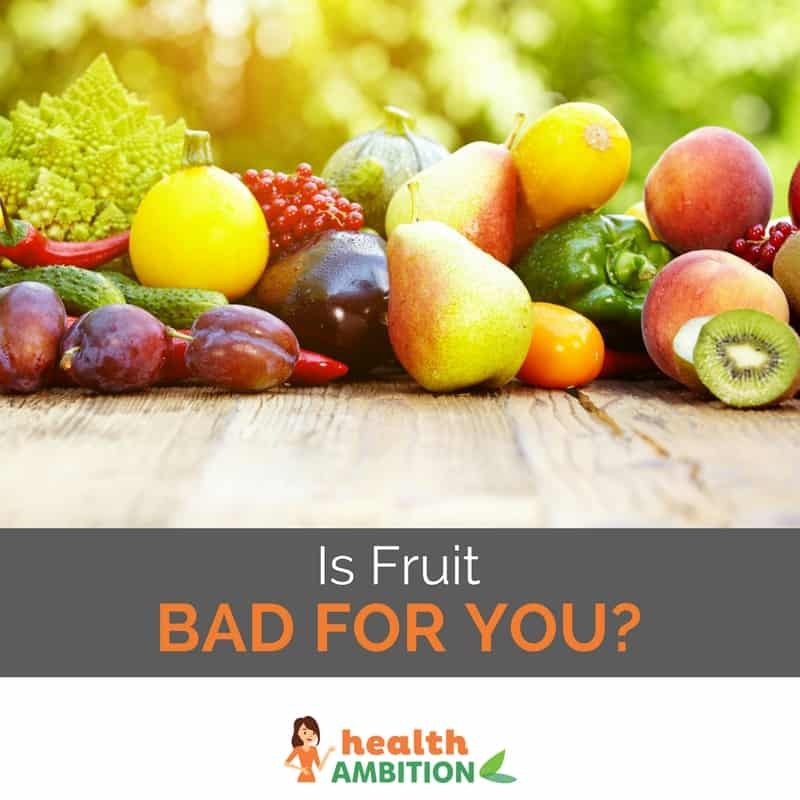 How Can Fruit Be Bad For You? The primary reasons for health concerns when it comes to fruit is the amount of sugar they contain. The amount of sugar which occurs naturally in many fruits reasonably high in comparison with other foods. The amount and type of sugar we consume has a dramatic effect on our bodies and our health. So first, we need to take a closer look at sugar. Sugar is the general name for a group of sweet tasting carbohydrates. There are simple sugars – monosaccharides, like glucose and fructose. There are also complex sugars called disaccharides, such as sucrose, maltose and lactose. The most complex sugars with the longest chemical chains are called oligosaccharides and polysaccharides. Although most of us enjoy the sweet taste of sugar, too much sugar has harmful effects on the body. It causes metabolic dysfunction, where the biochemical processes of the body are disturbed. Excessive intake of sugar has been proven to cause weight gain and obesity, increased blood sugar, risk of diabetes and high blood pressure. This all increases the risk of cardiovascular disease and stroke. So, we know that too much sugar is bad for us. Some people have concluded that because fruit contains sugar in the form of fructose, fruit might be bad for us too. However, the amount of fructose in fruit is generally not enough to push us into excessive consumption. In addition, there are other properties of fruit which have a significant influence on the outcome. In addition to the fructose content, fruits are also made up of water, fiber, vitamins, minerals and many essential nutrients. Whole fruits need to be chewed thoroughly. It takes time for the body to digest and assimilate the nutrients. This is important because it means the fructose from fruit is not received by the body – in particular the liver – as one big hit of sugar. When liver finds itself inundated with a huge, fast influx of sugar, the consequences can be extremely harmful. This is what causes health problems. Consuming whole fruit does not cause this dramatic sugar hit. Our evolutionary history of eating fruit means the body is well able to manage their digestion. Whole fruit is generally good at satisfying our appetite. It is difficult for most people to consume, for example, many apples (which each contain around 10-12 grams of fructose) one after the other. Of the many nutrients in fruit, one of the most important is fiber – in particular, soluble fiber. Soluble fiber, the type of fiber that absorbs water, has many health benefits. It is well known that fruit contains vitamins and minerals which are beneficial for health. The most obvious vitamin associated with fruit is vitamin C. Vitamin C prevents scurvy and is important for growth, repairing all body tissues damage and injury. It has also been shown to help maintain teeth and gum health. Fruit contains many other essential nutrients, most commonly vitamins A, B1, B2 and B6, folic acid and potassium. Vitamin A helps to maintain healthy bones, protects eyesight and helps us to absorb other nutrients, such as vitamin E.
The B vitamins help us to produce and use our energy sources efficiently, builds proteins and cells and is important in the manufacture of collagen. Fruit is a very diverse food group, and not all fruits contain all of the essential nutrients. This is why experts recommend including a variety of different types of fruit as part of a balanced diet. 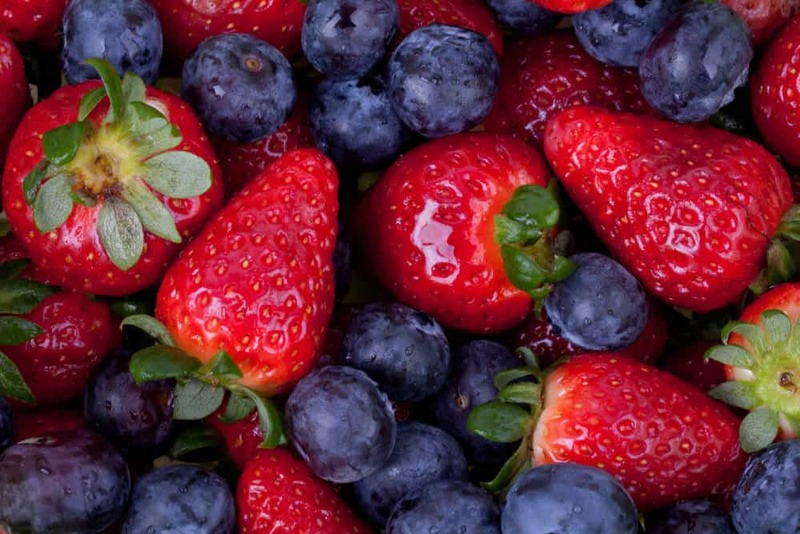 Antioxidants are chemicals which help to protect the body from cell damage by absorbing free-radical chemicals. Antioxidants can prevent or limit damage to blood vessels, and can help or prevent diseases such as atherosclerosis, some cancers, macular degeneration, some types of arthritis and Alzheimer’s disease. According to the American Heart Association, heart disease accounts for 1 in every 3 deaths on the US. A stroke occurs in the US approximately once every 40 seconds, and is responsible for 1 in 20 deaths. 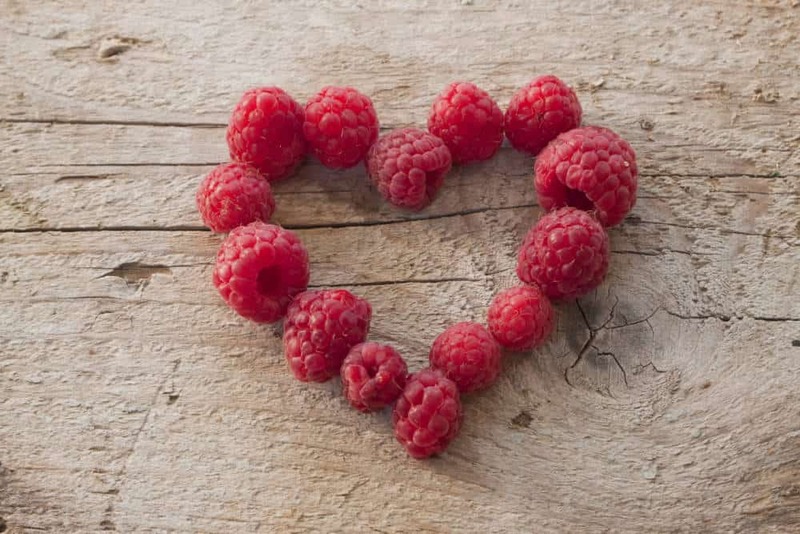 Some studies have found that regular inclusion of fruit in the diet can significantly decrease blood pressure. High blood pressure is a significant risk factor for both heart disease and stroke. The Centers for Disease Control and Prevention (CDC) estimate that nearly 30 million people suffer from diabetes. Some studies have found that diets rich in fruit can improve the control of blood sugar in people with diabetes. In one research study, several eminent professors studied the effect of fruit consumption on the risk of developing type II diabetes. We have already highlighted how eating whole fruit helps you feel full and satisfied, so it’s common sense that fruit probably has a role to play in weight loss. Choosing to eat fruit as part of a weight loss plan is likely to reduce your intake of other, higher calorie foods. It can help to control hunger and reduce the amount of calories you consume. Not every type of food is suitable for everyone. For anyone following a low carb eating plan, the amount of carbohydrates in fruit means that large consumption of fruit isn’t possible as it will completely defeat the point of a low carb diet. It is possible to have an intolerance to different types of fruit. If you want introduce a new type of fruit into your eating plan, as with the addition of any new food to your diet, add one new fruit at a time and monitor the effects. Symptoms of intolerance include bloating, abdominal cramps, upset stomach, increased flatulence and reflux. In this case it’s best to seek medical advice, and be sure to advise your doctor of any recent dietary changes. Drinking fruit juice does not have the same beneficial effects as eating whole fruit. Even if you juice at home from organic fruit, much of the natural fiber in the fruit is removed. This speeds up the digestion process and delivers more fructose to the liver in a shorter time. Smoothies, especially when made with whole fruit, are a little better as they contain more fiber, but the fiber is broken down by the blender, not your digestive system. In addition, beware of buying one of the many fruit “juices” currently available on the market. Because dried fruit has all of the water removed, weight for weight it contains a much higher percentage of sugar than whole fruit, so it’s much easier to consume a large quantity of fructose in a short time – the exact situation we want to avoid for the sake of our poor livers. Dried fruit is still a healthier snack than eating junk food – at least it still contains fiber, but the best advice is to only include a small amount of dried fruit in your diet. In summary, eating whole fruit is a very healthy part of a balanced diet as long as it is the whole fruit that is consumed. Fruit juices, smoothies and dried fruits should be limited. So, is fruit bad for you? In most cases, no. There are a huge variety of health benefits of regularly eating a wide variety of whole fruit, it can help us feel fuller and more satisfied while reducing the amount of less healthy food we might choose to eat instead. Overall, as long as there is a specific reason why you should not eat fruit, the message is loud and clear – go ahead and enjoy. 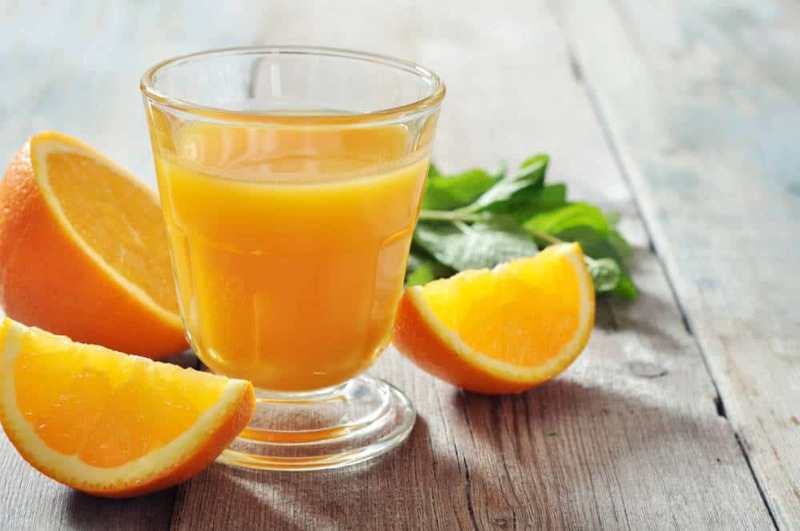 What Is Concentrated Juice and Is It Healthy?